In March, global engineering and technical services company Wood hosted Archbishop Blanch Church of England Girls High School for a World of Work visit at their offices in Birchwood. World of Work (WoW) visits form a core part of the Mosaic Secondary Mentoring Programme and connect local employers from a wide range of industries with young people aged 11-18 years old. 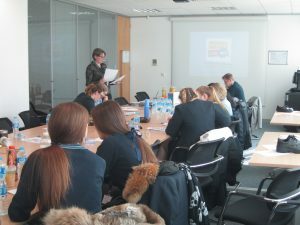 The students were kept engaged throughout a series of activities that helped them make a connection between what they were taught in schools with what potential career paths they could have in the future. Activities ranged from project management to more practical lab activities drawing on a number of different skill sets. 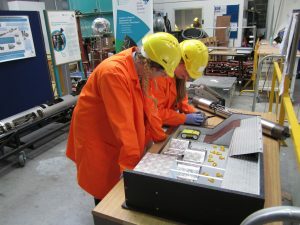 Wood’s well curated activities ensured that the students went away not only with invaluable practical insight but left with a better understanding of themselves and the jobs within STEM industries that may best suit their skills and interests. Mosaic takes students on visits to a range of employers to expand their horizons and increase their understanding of local employment opportunities. These ‘World of Work’ visits aim to give young people, who will make up the local workforce of the future, a glimpse into the host company’s industry, a local employer and the sheer range of opportunities often available under one roof. If your workplace is able to host a World of Work visit, you can learn more and get in touch here.